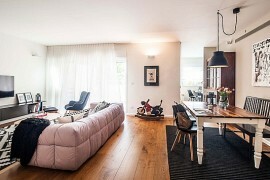 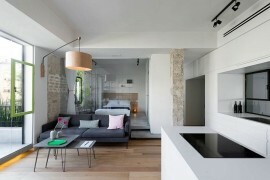 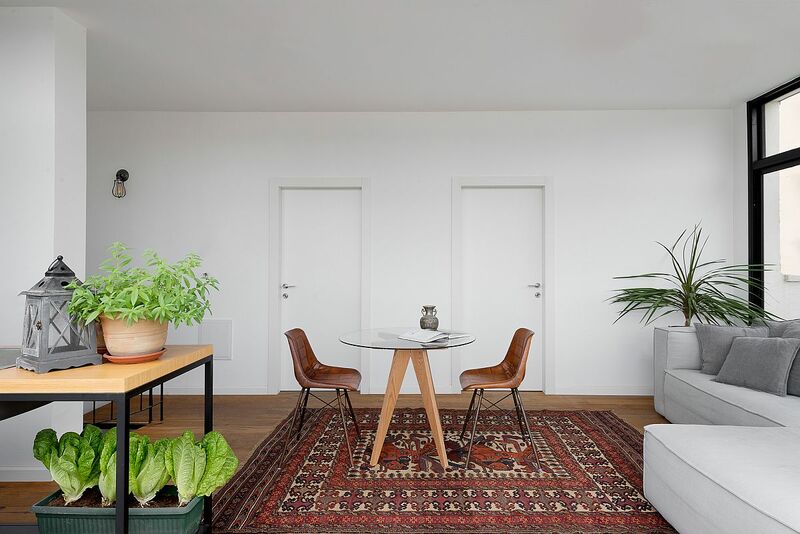 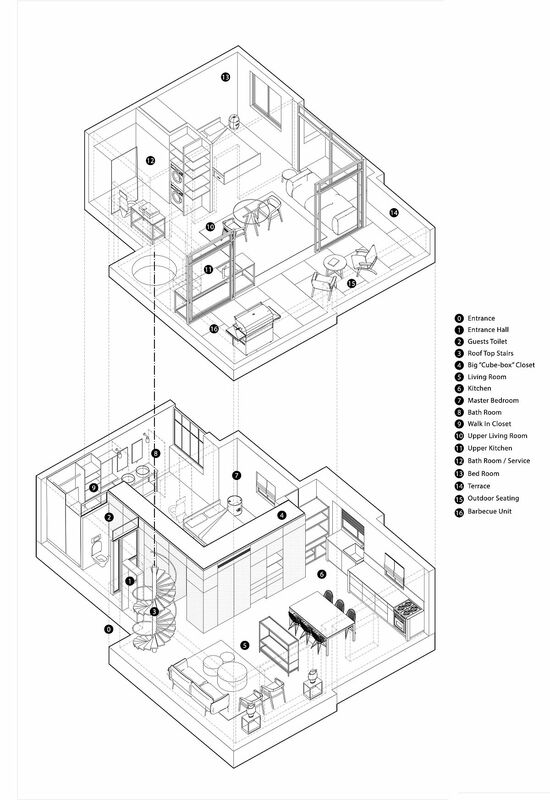 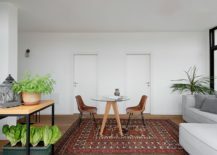 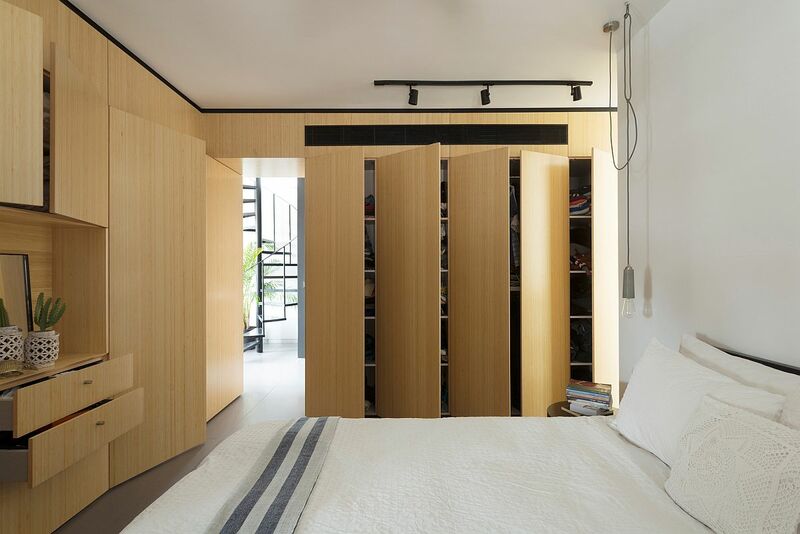 On the face of it, 138 square meters of space does seem like plenty for a modern apartment. 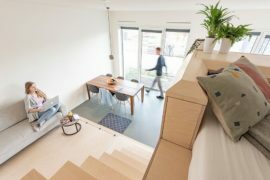 But when you split this across two different levels, the smart interior starts to seem just a little bit less expansive. 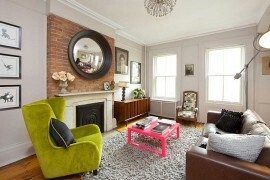 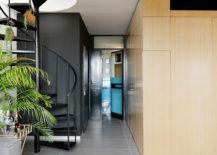 Add to this unnecessary internal partitions, and you have a duplex apartment that feels cluttered, dark and uninspiring. 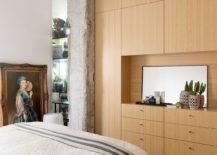 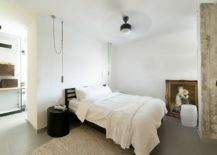 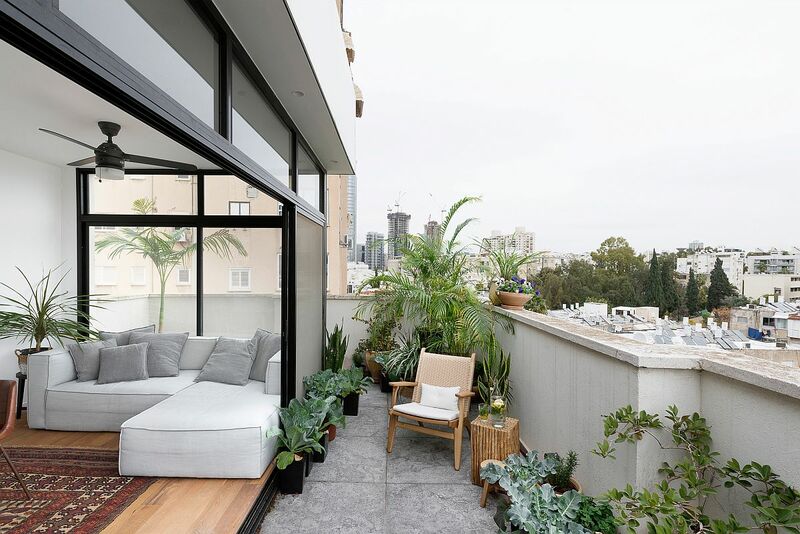 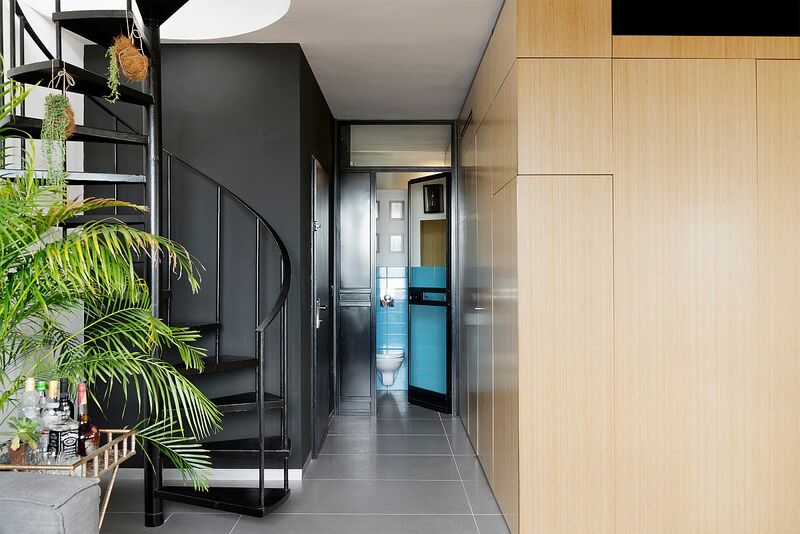 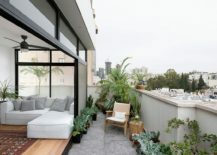 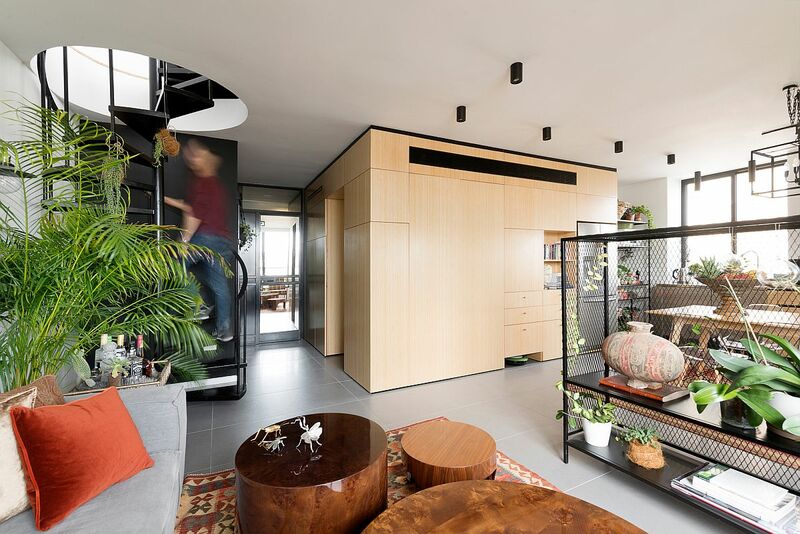 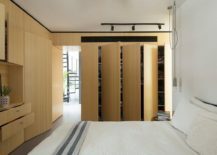 Faced with a similar conundrum, the homeowners of this twin level apartment in Tel Aviv turned to The K.O.T Project for a nifty solution, and the creative architects came up with the idea of the ‘Fun-ctional Box’ – a fabulous, L-shaped floor-to-ceiling closet structure that also holds the master bedroom! 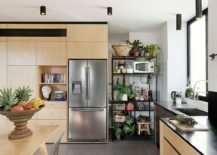 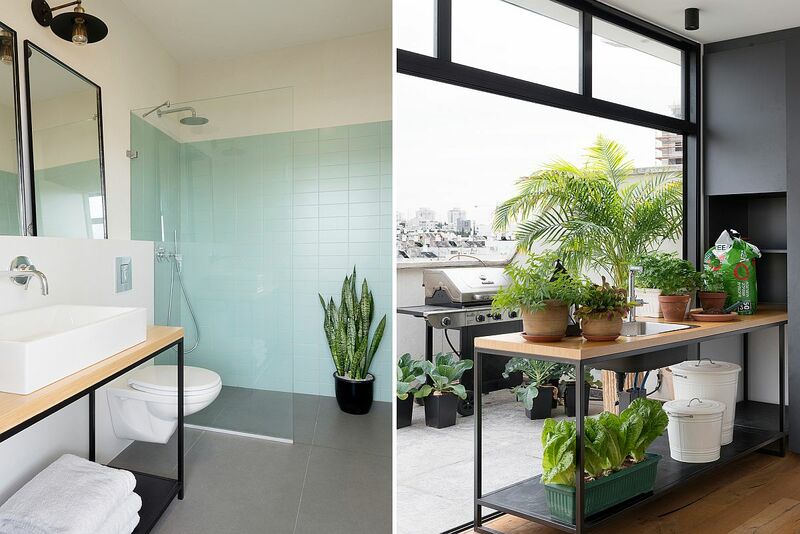 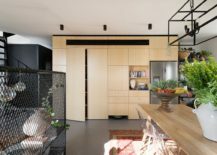 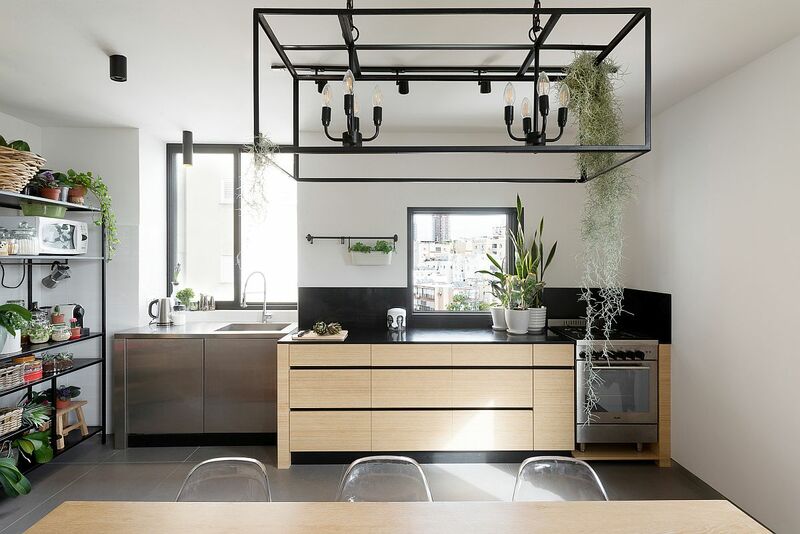 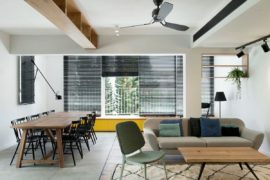 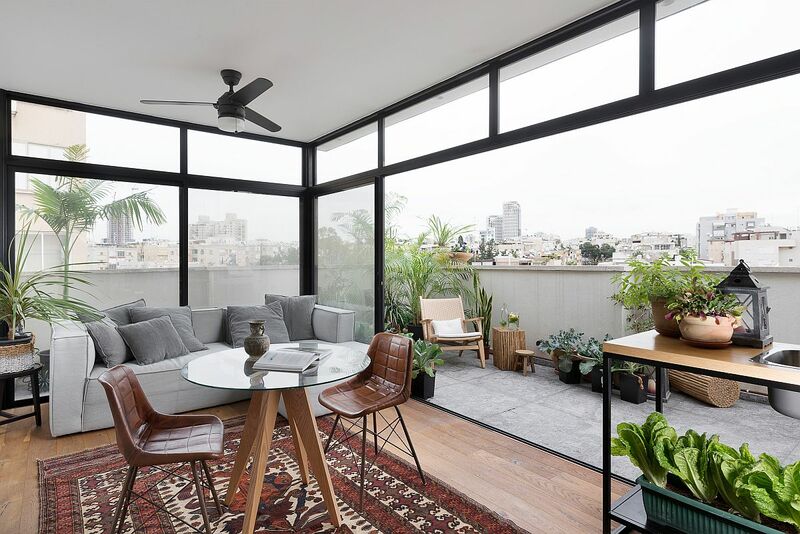 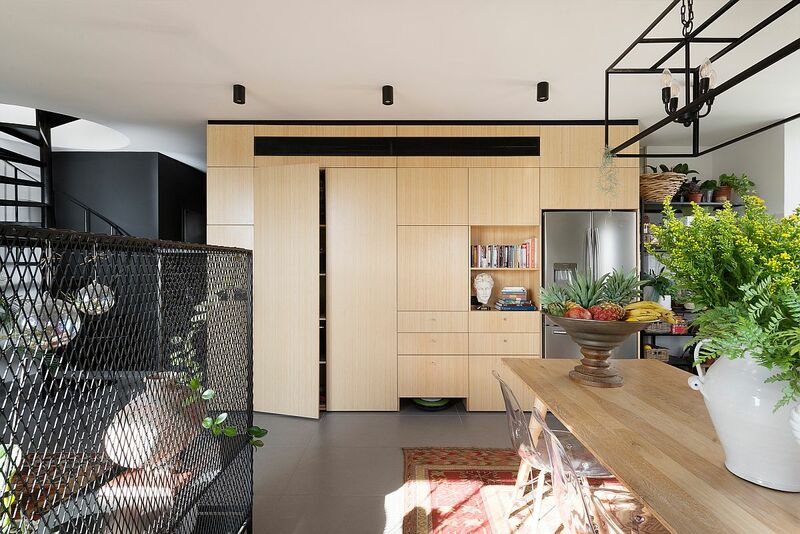 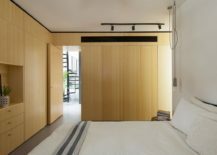 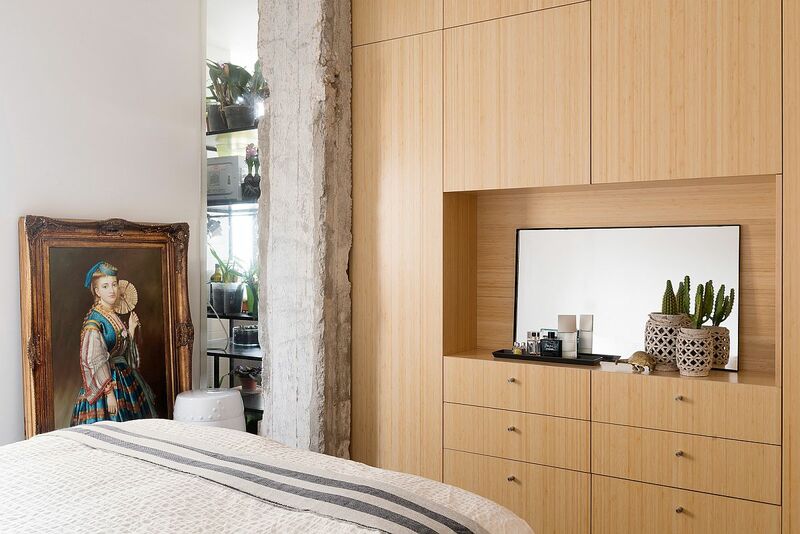 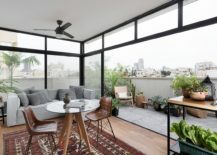 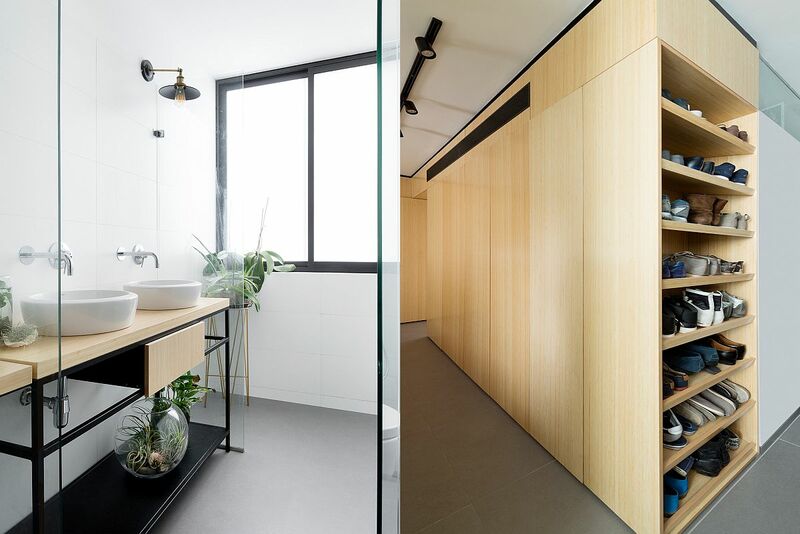 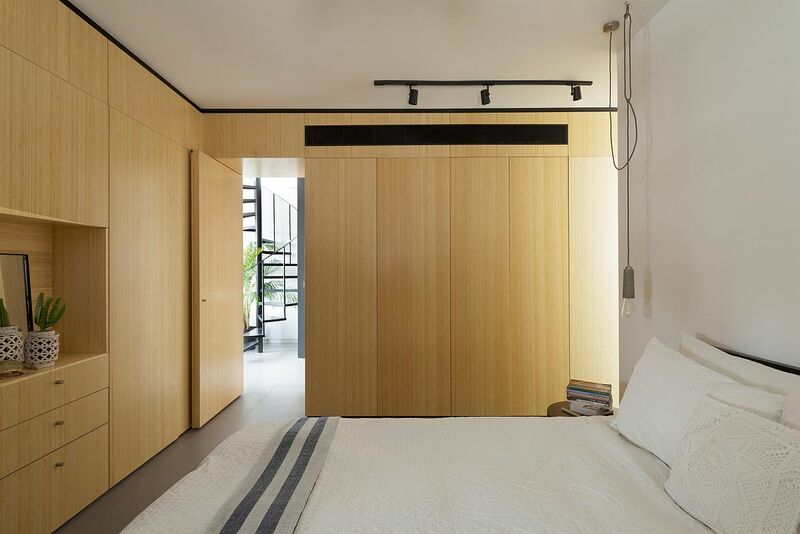 It is this new L-shaped partition / closet unit clad in bamboo that is the star of this revamped apartment in Tel Aviv, as it creates a ‘room within a room’. 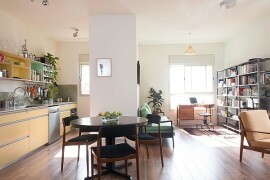 But there is much more to marvel here than just this new, space-savvy addition. 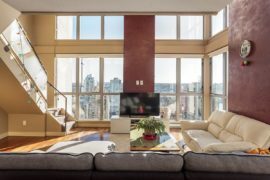 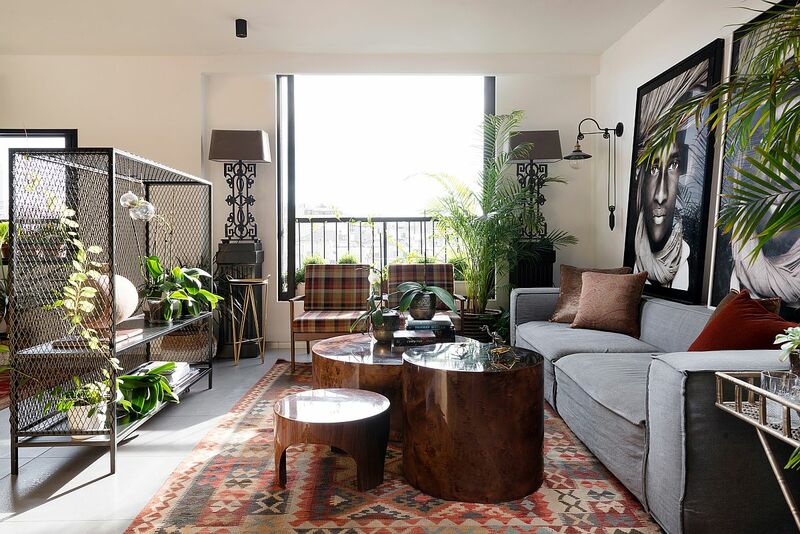 The lower level with an open living area that also holds the kitchen and dining space fashions a stunning fusion of contrasting design elements that includes a hand-crafted Uzbek rug, checkered Missoni armchairs, a contemporary gray couch and exceptional Oriental lamps. 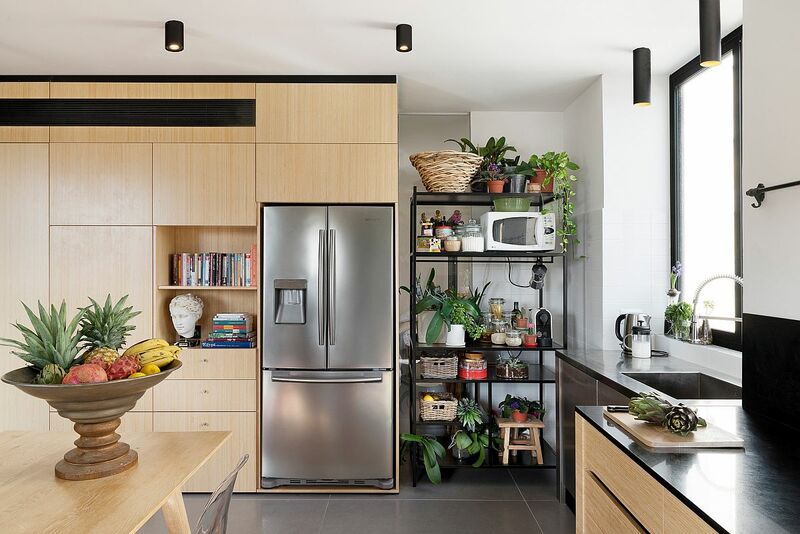 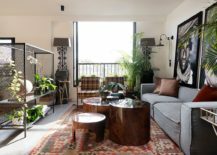 The homeowners wanted a crisp fusion of 50s and 70s aesthetics with modern comfort, oriental lighting and curated décor additions that originate from different corners of the world.